It is said that Prasanthi Nilayam is Swami’s office, Brindavan is His home and Kodaikanal is His playground. In a manner of speaking, this is so particularly where Kodaikanal is concerned, for it is here, that one gets a glimpse of the Sai of the Forties, especially where Divine Leelas are concerned. It all lasts only a few weeks, but what extraordinary weeks they are, for those blessed to enjoy Divine intimacy then! Kodaikanal is a hill station in South India about four hundred and odd kilometres south east of Bangalore and near the Temple Cities of Madurai and Palani. 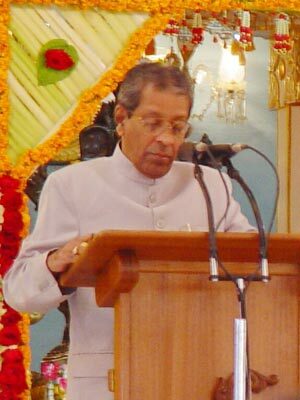 In former years, every summer Swami used to take a few selected students with Him to Kodai. To help you to know more about Swami’s Kodai sojourn, we reproduce below the transcript of a dialogue between Prof.Anil Kumar and Prof. Venkataraman, broadcast earlier over Radio Sai. 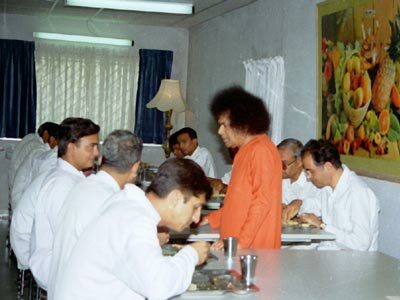 Both are from the SRI SATHYA SAI INSTITUTE OF HIGHER LEARNING. GV: Straw hats? In fact I thing I have a photo of Swami and Narasimhamoorthy with straw hats. AK: Swami got down from His car one day and purchased a straw hat and put it on His head. When Swami wore that hat, the whole Kodakanal was soon full of these straw hats. Bhagavan said, “See they now have plenty of money and are very happy”. These are all poor people and they wait for Bhagavan to arrive in Kodai because with Swami, Lakshmi [the goddess of Wealth] follows and takes care of their life. And one day, Swami called two servant maids, very poor ladies, and gave them silk sarees. I was wondering why. GV: How did He pick these two women? AK: They were working there in the Ashram, washing utensils. Swami gave them silk sarees. I asked, “Swami, silk sarees for servant maids?” Swami looked at me and said, “It is I who give; why should you cry (laughter)? Are you jealous?” I replied, “No, Swami they cannot afford these silk sarees, I don’t know why You give them such expensive clothes?” He replied, “So that they may wear them and attend marriages and such functions. When they visit relatives wearing these sarees, they would say, ‘Sai Baba gave this’. That would give them a lot of joy. Why do you think like that?” Sai loves everybody and His Love is uniform. GV: He always tries to make people happy. GV: The message is that we also should try to do that. Tell me how Swami, in subtle ways, teaches the students. I ask this because you say living with Swami is an experience. What are the lessons? AK: He watches how every student conducts himself and immediately points out deficiencies. AK: If there is any mistake, He will notice it. To begin with, dining-table manners, how one should conduct himself while dining with others. Usually boys serve first. There are so many points to consider here - how to serve, how to receive guests, how to extend hospitality, how to talk to elders, how to dress, all sorts of minute details. These days, parents do not have the time to observe and teach. They are busy in their own way. But Bhagavan is more than a parent. He cares for His boys.With the result the boy becomes so good that his parents would wonder whether he was the same child. When they leave home the boys are of one type while when they come back they are totally transformed. That is the transformation that Swami produces. GV: Did you feel it was kind of very strange that God is doing all this? AK: Well, God comes down for both for reformation and transformation. Reformation of the world and transformation of the inner being. GV: You say Swami selects boys with talents. How does He put these talents on display in Kodaikanal? AK: In many ways. During Bhajans He will ask them to sing. Later, boys would be asked to play on musical instruments. Boys with talent for speaking would be asked to give talks. GV: Are there some KAVI SAMMELANS or sessions devoted to poetry? AK: The Sathya Sai Institute is rather unique in that we have students from many parts of the country. We have all together about fifteen languages or so. Thus each student would compose a poem or a song in his own language. One day Swami would organise this KAVI SAMMELAN, or an assembly of poets, rendering their compositions. Swami will tell every boy, “Come on, sing a song or recite a poem in your mother tongue.” And while the boy is doing so, Swami would translate, add explanations and interpretations, besides correcting the boy wherever he went wrong. GV: Translating? If it is a Bengali poem ? AK: He translates all languages. GV: Then, why does He need you?! Anyway, this is amazing. Now tell us something about the picnic. That must be something very unusual. AK: Swami will take the boys to a nearby mountain area in Kodaikanal. The party would go there with food packets. All would sit in the form of a circle and Swami would start joking on the dress and the walking style of boys, besides imitating them, much to the amusement of every body. It is all quite light-hearted. Of course, when He pokes fun, it is really to help the boy to correct his mistakes. He says to one boy, “You are walking like a lady,” and that boy would know how to walk properly. He will look at another boy and ask, “Why you are so fat? You had better do some exercises,” making everybody laugh. After some bantering like this come the games. Small slips of paper are prepared with various instructions written on them, such as: You must dance, you should sing, you must crack a joke, and so on. The number of slips so prepared is equal to the number of people seated around in a circle. A slip is put in a box and the box is passed around while music plays. Suddenly the music is stopped and the boy holding the box at that moment has to do exactly what is written on the slip inside. GV: Everyone gets a slip including Swami? AK: It so happened, Prof. Sampath was there in the group. He got a slip. Prof. Sampath is a wonderful person, a well-known scientist, a man of ready wit and humour, and a personification of human values. When Prof. Sampath’s turn came and he looked at the slip inside, it said, “You should sing a song.” Professor said “Swami, I cannot sing.” Swami said, “I cannot help you. You have to follow the rules of the game and do just what your slip says”. Prof Sampath then pleaded, “Swami, can I be exempted?” Laughing merrily, Swami said, “No, no, you should do what is said in the chit”. Professor started singing in his coarse voice; he was not used to singing at all, and every body started putting their fingers into their ears, and plugging their ears so that they don’t have to hear him. That added to the fun and frolic. Every body was reeling with laughter. GV: I remember Prof. Sampath telling me this story. He did it all in good humour. He is a very sportive person; a wonderful man. So if you were to summarise this extraordinary experience that Swami gives in Kodaikanal, how would you do it? GV: What does Swami say about that? AK: He says: “I don’t want anything from you. All I want from you is for you to get a good name for yourself, for your parents and for your Institute - that is the way of expressing gratitude to Bhagavan”. That is what HE says, “Do good, be good, see good,” - that is the quintessence of His message. GV: It is so unimaginable. This broadcast would be heard all over the world and so literally you have brought Kodaikanal experience to thousands of people all over the world. We are very grateful to you from Radio Sai, and we do hope we will have more opportunities to talk to you on this subject. After your next Kodai trip, you had better report immediately to our studio here to tell us all about it! AK: I eagerly look forward to that opportunity. AK: Thank you, and Sai Ram.